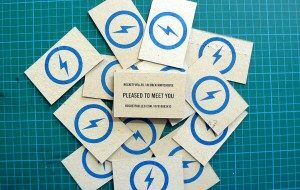 As I noticed the many networking events scheduled in my calendar this winter, I started thinking about business cards I receive. As a business owner, there is a trend I’ve been noticing for the last few years that concerns me and it is quickly gaining popularity. You go to a networking event, speak with several people and exchange business cards. Some may be future clients or referral sources to contact later. How do you remember which one has the sister who needs your services or the person who wants to meet for coffee next week? It’s difficult — unless you have amazing recall, which I definitely do not. My way to stay organized is to (discreetly) write notes on the back of the card after I finish speaking with someone. An etiquette expert told me it’s not polite to write on someone’s card and a separate note pad should be used instead. Speaking practically, that seems like too much effort. Besides, I need my notes on each person’s card. My compromise? I ask people if I can write on their card and they say OK. So what’s the problem? More and more business cards have a glossy finish and/or the reverse side is covered with information. I can’t make notes so I won’t remember who said what. They are lost business opportunities. Then there is the growing popularity of digital card scanners and smartphone apps. Fancy fonts, dark colors and some graphics can be difficult for accurate electronic conversion. That means manual editing. That may be doable for a few cards. But collect a bunch of them and it’s a project that may or may not get done. Here are 5 tips when designing your business card. You can apply these tips to other informational or marketing materials. I’ve seen all kinds, including Web sites, where I could not decipher the name of the company, find contact information or even read them because the font was too small or fancy. What’s the purpose of a business card? It should provide basic information about you and your organization, how to reach you, and reflect the feel and image you want to project so people remember you and can contact you at a future time. If your card doesn’t do that, you’re losing business opportunities. That impacts your bottom line. If you make it easy for people to know who you are, what you do and how to reach you, they will! Copyscape checks for plagiarised content posted on the Internet. If you have a Web site or blog, you want to protect your original content. There are unscrupulous people who copy others’ work and pass it off as their own. How would you know? Copyscape finds it. There are free and paid services. I recommend you do as I did and post a Copyscape banner on your site to warn people that your content is protected. For information, click here.